Huawei‘s sub-brand, Honor is aimed at catering the mid-range segment. 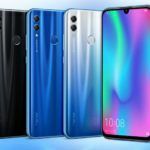 Honor has been able to carve a niche for itself in the Indian smartphone market as well, earning a loyal fan base. 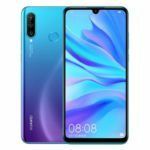 A new leak has surfaced on the internet revealing an upcoming Honor smartphone, dubbed Honor 10i. The leak spotted by Hi-Tech Mail, we get our first look at the phone along with speculated specifications. 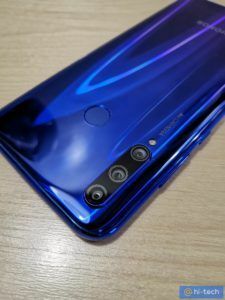 The images revealed in the leak shows that the Honor 10i has a conventional Honor design that we have witnessed on the previous Honor phones such as the Huawei Nova 4. It has a glossy glass back design. 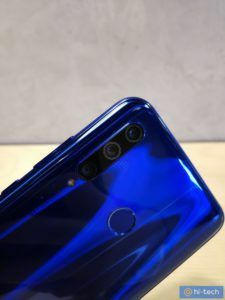 It bears a design that is similar to the Honor 9i as well, except for a change that it has triple camera setup instead of dual camera setup. The glossy back sure looks premium and would get many takers depending on how Honor plans on pricing the phone. 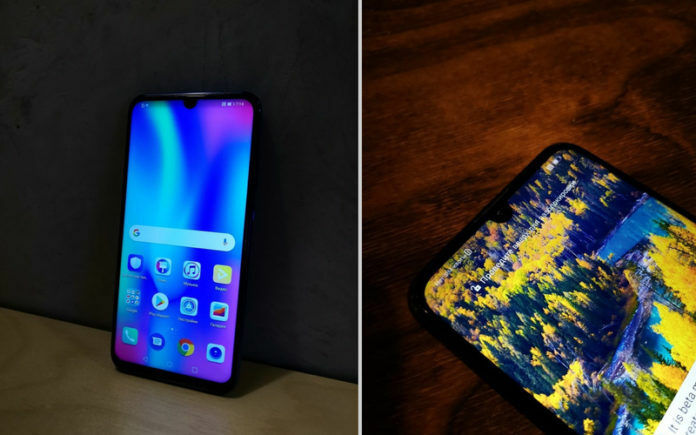 The Honor 10i is speculated to feature a 6.2-inches FHD+ IPS LCD screen paired with a waterdrop notch on top. The phone may have a 32MP selfie snapper and a 24MP + 8MP + 2MP triple camera setup on the rear. Under the hood, the Honor 10i could come powered by a Kirin 710 SoC clubbed with 4GB of RAM and 128GB of internal storage. 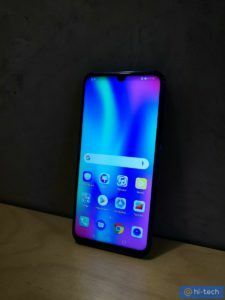 It is also rumored to come with fast-charging support and NFC connectivity. On the back, the phone could feature a fingerprint sensor. 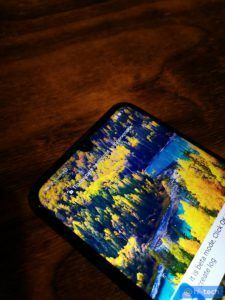 As for software, the phone could ship with Android 9 Pie-based EMUI 9. All the aforementioned information is based on a leak, so we better take it with a pinch of salt. 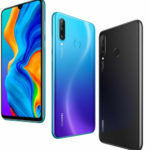 However, if it at all holds the ground then there are fair chances that Honor would price it competitively to compete with the Redmi Note 7 Pro. 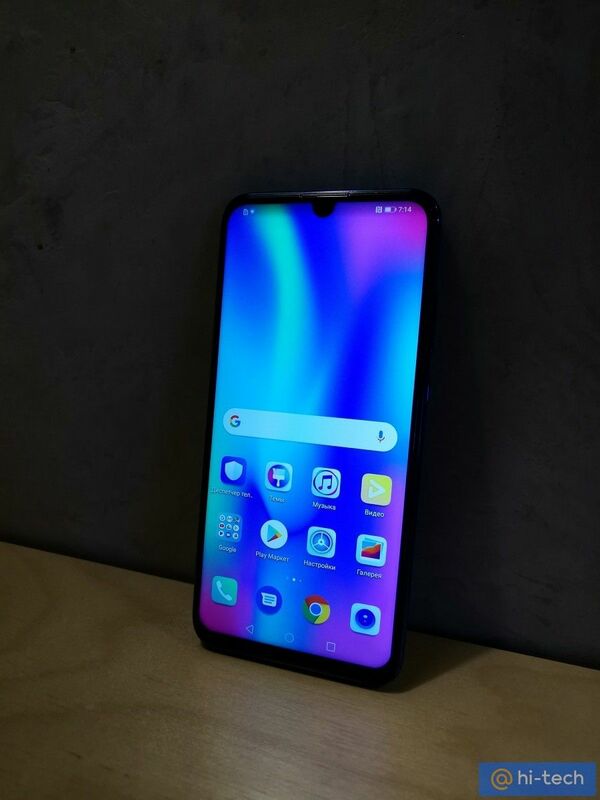 The Honor 10i is a successor to the Honor 9i that was launched in July 2018. Going by that timeline, we can expect the Honor 10i to also debut around the same month this year. To recall, the Honor 9i features a 5.84-inch full-HD+ IPS screen with an aspect ratio of 19:9. The phone has a conventional notch instead of a waterdrop notch that is going to be on its successor. An octa-core HiSilicon Kirin 659 SoC power the phone with 4GB of RAM and up to 128GB of internal storage. The phone sports a 13MP+2MP dual rear camera setup and a 16MP front camera. A 3,000mAh battery backs the smartphone. 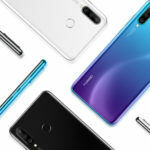 The Honor 10i is going to be an upgrade over the Honor 9i. We can expect it to launch soon. Until then, stay tuned with us to get all the news as it happens.